Construction trade shows, conferences and events offer construction industry professionals immense opportunities to learn from industry leaders, meet industry peers, and get key exposure to the latest developments in the construction industry. Construction industry professionals can choose from an extensive range of conferences, events and trade shows and join the ones that are most relevant to their specialization. Here’s a list of some of the major construction trade shows, conferences and events that you can attend in 2017. Description: Organized by Florida Transportation Builders Association, Inc, the Construction Conference covers areas in the transportation industry. Description: Organized by the National Business Institute, the Construction Contracts from Start to Finish covers areas like North Carolina construction contract law update, the law of contracts, recent developments, relevant case law. Description: Organized by the International Academic of Science, Technology, Engineering and Management, the International Conference on Civil And Architectural Engineering covers areas like High-rise Structure and Large-span Structure, Bridge and Tunnel Engineering, New Structure and Special Structure. Description: Organized by the National Business Institute, the “Construction Law: Advanced Issues and Answers” covers areas like payment clauses, pass-through clauses, no damage for delay clauses, performance and timing clauses. Description: organized by the American Society of Civil Engineers, the Culvert Design for Peak Flow and Aquatic Organism Passage covers areas like overview and review of discharge methods, review of solved example problem, open channel flow, open channel flow, solution and discussion, culvert definitions and types, types of culvert flow. Description: Organized by the American Society of Civil Engineers, the Dam Breach Analysis Using HEC-RAS covers areas like intro to dam breach modeling, hec-ras review, computer workshop on unsteady flow modeling, hec-ras vs. Hec-hms dam breach modeling, setting up a hec-ras dam breach model. Description: Organized by the ALM Media Properties, the RealShare Apartments East discusses the most pressing topics affecting the multifamily community on the East Coast. Description: Organized by the Prestressed Concrete Institute, the PCI Convention and National Bridge Conference will cover areas like manufactured by companies that subscribe to nationally accepted standards, have comprehensive quality systems in place and are audited to ensure compliance, developed and documented an in-depth, in-house quality system based on time-tested, national industry standards. Description: This event provides information and updates on issues that interest the residential construction industry. Day 1 focuses on focuses on housing structures related issues. Day 2 gives you the chance to attend full day workshops related to specific areas of residential construction. Description: The CI SUMMIT offers construction professionals an opportunity to meet their peers from all over the country to share new developments and innovative practices in the construction industry. Description: The Soil and Rock Slope Stability will cover areas like soil slope data, rock slope data, infinite slope concepts, soil slope analysis, and rock slope analysis. Description: The “Earth-Retaining Structures: Selection, Design, Construction, and Inspection” will cover areas like history/classification/selection of earth retaining systems, soil and rock properties, lateral earth pressures, cast-in-place and semi-gravity wall. Description: The “Construction Law: Advanced Issues and Answers” will cover areas like payment clauses, pass-through clauses, no damage for delay clauses, performance and timing clauses. Description: The “Construction Law: What do You do When” will cover areas like potential liability for bid errors, correction of bid prior to award, correction of bid after award, correction of bid after commencement of construction. Description: The premier event for post-frame professionals – get access to the latest innovations and dive into the educational sessions presented by top industry professionals. Description: The Greenprints Conference will cover areas like surrounding sustainability both at the policy level and in practice and conversations between researchers and on-the-ground practitioners that promote sustainable buildings and communities and many more. Description: The CONEXPO-CON/AGG will attract over 140,000 visitors from all sectors of construction industry from all over the world. It is one of the most awaited events of Las Vegas. Description: The Meyer on Leases will cover areas like sample office Lease checklist covering 43 key provisions plus numerous exhibits and schedules, sample long and short form requests for proposals, building questionnaire. Description: The Seismic Analysis of Structures and Equipment will cover areas like response spectra of ground motions, site-specific acceleration and deformation response spectra, cyclic-demand spectrum, time-histories of ground motion, site-specific tri-axial ground motion histories. Description: The Construction Administration for Engineers will cover areas like project delivery systems, partnering, responsibility and authority, on site responsibilities, records and reports: documentation, using specifications for contract administration. Description: The Insurance in the Construction Industry will cover areas like recent case law update, duty to defend, duty to settle, additional insured endorsements. Description: The Ohio Construction Conference will host more than 700 member firms, representing the entire spectrum of the industry. Members include architects, engineers, general contractors, subcontractors, material suppliers and manufacturers. Description: The Land Use Conference will provide a platform to the experts to make interacts with one another and put forward their innovative ideas. Description: The Building Bridges Technology Conference provides a forum for understanding how technology can be used effectively in maximizing student success on campus and beyond. Description: The premier conference for building envelope consultants, this event features over 25 hours of educational seminars, live product demos and a 2-day trade show featuring over 140 exhibitors. Description: The Construction Dewatering and Groundwater Control – Design and Application will discuss how to choose the appropriate groundwater control method, plan and perform an effective geotechnical investigation for dewatering projects. Description: The Design of Concrete Pavements will provide introductions to innovative products such as pervious concrete, concrete overlays and roller compacted concrete. Description: The NAIOP NC Statewide Conference cover areas like bringing job postings together a diverse group of commercial real estate professionals in North Carolina, and exploring issues, education, legislative matters. Description: The Streambank Stabilization for Restoration and Flood Control Projects will cover areas like stream instability, streambank stabilization approaches, fluvial geomorphology fundamentals, channel form and processes, channel stability assessment. Description: The Investigation, Analysis, and Remediation of Building Failures cover areas like introduction: what is a failure, main causes of failure, the process of failure investigation, failures of steel-framed buildings and metal building systems, failures of anchor bolts. Description: The Application of Soil-Structure Interaction to Buildings and Bridges will cover areas like equation of motion and degrees of freedom of a vibrating body, and methods of dynamic analysis of structures. Description: The Seismic Loads for Buildings and Other Structures will cover areas like history of building code requirements for seismic load analysis, fundamental concepts of earthquake engineering, and classification of occupancy and use. Description: The Real Estate Private Equity Forum on Land & Homebuilding will bring together experts such as homebuilders, bank investors who are going to talk about real estate opportunity funds. Description: The North America’s Building Trades Unions Legislative Conference will cover areas like inter-trade solidarity, inter-trade solidarity. Description: The Whizard Summit brings together Architects, Builders, Contractors, Distributors and Dealers. Description: The Structures Congress 2017 offers construction professionals innovative solutions and cutting-edge knowledge, apart from opportunities to grow connections and resources to advance their career. Description: The AEI Biennial Conference offers a joint platform to unite students, professionals and academics engaged in the building industry, fostering active dialogue and interaction to promote the future of the profession. Description: This free event gets you access to over 1000 builders, remodelers and interior designers for a fun and informative tradeshow. Description: This event is dedicated to underground infrastructure professionals – learn new techniques that will lead to savings and improved infrastructure by attending 160 peer-reviewed, non-commercial presentations. Description: The Construction Trades: Success Series will cover areas from engineering, healthcare, computer graphics, auto technology and culinary arts. Description: The GSR Conference will cover areas like Construction Technology. 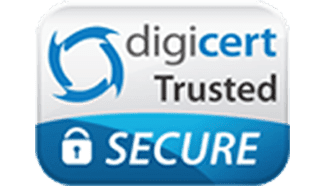 Description: It showcases products like awesome one with the presence of building maintenance products and services, educational institutions maintenance, commercial and office building maintenance services, building maintenance essentials etc. in the Building Construction, Business Services industries. Description: The CxEnergy Conference & Expo showcases a wide variety of products including controls, software, instruments, metering devices and services targeted specifically to commissioning, energy management, engineering and testing firms. Description: The Offshore Technology Conference (OTC) is the largest event in the world for the oil and gas industry featuring more than 2,400 exhibitors, and attendees representing 120 countries. Description: Obtain the knowledge and resources necessary to excel in today’s housing marketplace. Featuring educational programs, networking opportunities and access to the exhibit floor for the latest products and technologies. Description: Hosted by the VP Management Services, LLC, the East Coast Builders Conference will cover areas like recovering from the worst real estate downturn in history. Description: Hosted by the Seattle Building Enclosure Council, the SeaBEC Symposium will discuss new building enclosure technologies, biomimicry, kinetic architecture, and cold climate design. Description: Organized by the GRI American European LLC, the GRI Infra Latin America will focus on debating investments on airports, energy, railroads, mobility, ports, waste, roads and sanitation in the Latin America. Description: Hosted by the US Department of Energy, the Better Buildings Summit will discuss future opportunities for greater energy efficiency in America’s homes and buildings. Description: Hosted by the Cohousing Association, the National Cohousing Conference will cover areas like energy efficiency, living green, sustainability and resiliency, greener building. Description: The World Environmental & Water Resources Congress offers certifications and trainings in construction and maintenance among many other unique benefits. Description: Organized by the Building Science in Westford, the Renovation And Rehabilitation will cover areas like foundations: basements and crawlspaces walls and windows roofs: vented and unvented roofs ventilation and HVAC. Description: Immerse yourself in the expertise, insights and opportunities you need to stay ahead on industry trends, maximize your effectiveness and optimize the performance of your commercial assets. Description: Organized by the American Metal Market (AMM), the Steel Survival Strategies will cover areas like Steel and raw material traders, Analysts and consultants, Automotive and consumer goods manufacturers, Construction companies. Description: Organized by the NACE International, the Concrete Service Life Extension Conference will cover areas like Concrete Condition and Mechanisms of Deterioration, Diagnostics of Concrete Failures, Service Life and Durability, Concrete Repair and Corrosion Mitigation, Commercial Floor Applications, Industrial Floor Applications, Floor Coatings for the Food and Beverage Industry and much more. Description: Hosted by the BNP Media, the Stone Industry Education Conference Boston will help you create a plan for diversifying your sales to ensure growth both this year and 5 years down the road. Description: Organized by the AIRAH, the Building Simulation Conference will cover areas like both research and advanced practice in the areas of energy simulation, airflow and natural ventilation, thermal comfort, lighting and daylighting, acoustics, and more. Description: Hosted by the Century Building Expo & Conference, the Century Building Expo & Conference is the largest home builders association in the country with over 16,000 members. Description: Dedicated to the institutional, industrial and commercial building industry, CONSTRUCT 2017 combines educational opportunities with practical, real-world product, service and technology solutions for your organization. Description: The HD Americas is an open, collaborative forum which offers construction professionals a great deal of opportunities to learn and grow. Description: The Northern California Facilities Expo will showcase products like high-tech manufacturing, government, healthcare, hospitality, finance, education, information technology, software development, shipping, utilities and many others. Description: Organized by the Claims and Litigation Management Alliance, the CLM National Construction Claims Conference will cover areas like construction site accidents/injuries, coverage issues, subcontractor issues, and new technologies and many more. Description: Organized by the ASHRAE, the ASHRAE Building Performance Analysis Conference will cover areas like financial analysis/performance, energy analysis, monitoring coupled to predictive analysis to improve existing building performance, regulatory and building rating system compliance and many more. Description: The RDJ group of events provides remodeling professionals with access to hundreds of the industry’s top manufacturers, hands-on training and business education through comprehensive conference programs and networking events. Description: Organized by the AEM, the International Construction And Utility Equipment Exposition offers utility professionals and construction contractors immense insight into the latest technologies, innovations, insights, and trends affecting their industry. Description: The CRC is the premier educational event for the construction industry. Learn from 1500 industry professionals about state-of-the art ideas and techniques for improving insurance coverages, controlling insurance costs and fine-tuning risk management programs. Description: The DBIA Conference and Expo is the largest event that is exclusively focused on the design-build market. Learn about best practices, challenges and trends from top industry professionals. Description: Organized by the RCI, Inc, the RCI Building Envelope Technology Symposium will cover areas like offering cutting-edge information regarding design, construction, maintenance and repair of modern and/or older building envelopes and many more. Description: Sponsored by the ABC-UTC, the National Accelerated Bridge Construction Conference will be held on December 7 and 8, 2017 in downtown Miami, Florida, with pre-conference workshops on December 6, 2017. Bento for Business offers a new generation of technology-driven SMART employee expense cards for SMBs, nonprofits, organizations and associations in the form of a business prepaid MasterCard. You can set monthly spend limits and allow only certain purchase categories (e.g. Bob the project manager can only spend $500/week and the card only works to purchase gas, hotels and at the hardware store). Turn cards on/off in real-time and receive SMS text message or email alerts for every purchase or decline. Enjoy unmatched visibility into cash flow, eliminate expense reports, and save time & money. 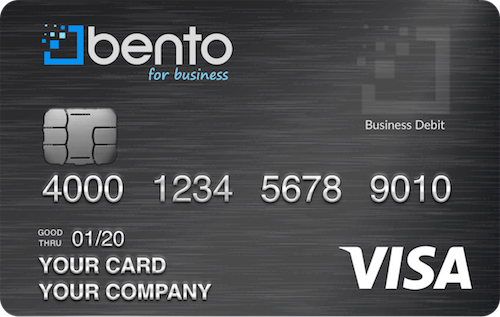 Use this link to learn more and start your FREE 60-day trial of Bento’s business prepaid cards.